White-tailed sea eagle Haliaeetus albicilla NORWAY/FLATANGER, NORD-TRÖNDELAG The sea eagle is another real comeback species in Europe. Persecuted during centuries and finally almost lost to chemical pollutants in the 1970s, it is quickly reclaiming most of its former territories across Europe. In 2009 Norway hosted 4,000 pairs, Germany 530, Sweden 600, Finland 300, the UK 50 and Denmark 21 pairs. 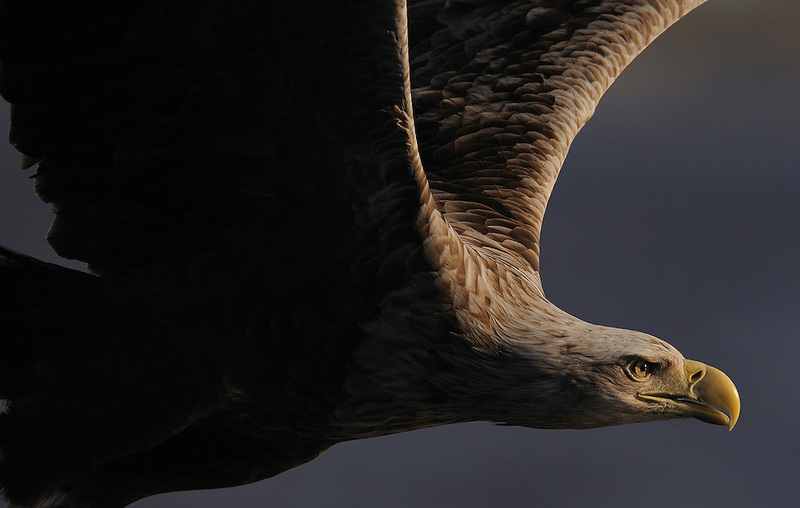 The sea eagle’s comeback is a clear result of devoted work by individual citizens, businesses, NGOs and public agencies.Yes, we can make a difference. Nature conservation works.